MatTek has developed a new method for generating DC from CD34+ progenitor cells (hematopoietic stem cells) harvested from umbilical cord blood. This improved method generates an average of >400 million DC from 1 million starting progenitor CD34+ cells. 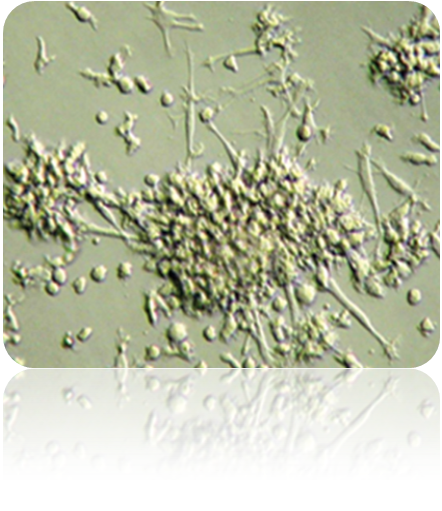 The DC express CD1a, HLA-DR, CD80, CD86, CD40, CD54, CD11c, CD206 (mannose receptor), and unlike monocyte-derived DC, the DC express BIRBECK GRANULES. The DC also express TLR-1, TLR-2, TLR-3, TLR-4, TLR-6, TLR-7 and TLR-9.The DC are phenotypically similar to their in vivo counterparts, and their in vitro function in immunological reactions mimics their in vivo behavior. These cells have a longer life span in culture and can be used in a broad range of immunology, virology and other functional studies. For more information, view Technical References.